Adding a test execution is now easier than ever. 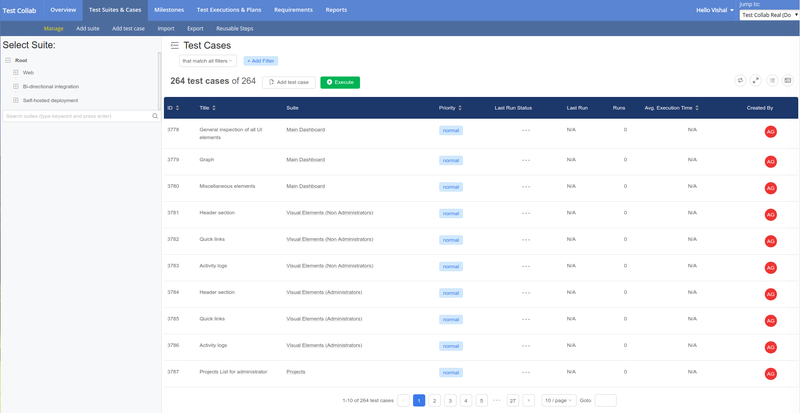 Whether you want all test cases or the filtered ones to be assigned to one or more testers, click on a button is all you need to do. 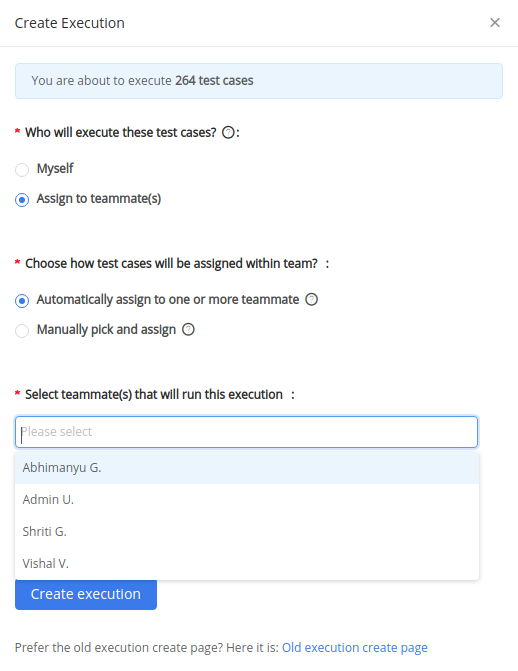 When "Assign to teammates" is selected user can either opt to "Automatically assign to one or more teammate" or can "Manually pick and assign"
When "Manually pick and assign" is selected test execution will be saved and user will be taken to assign page to select the test cases and testers (assignees) individually. When "Show more options" is selected, the user can change the test execution title, priority, milestones and relevant custom fields. 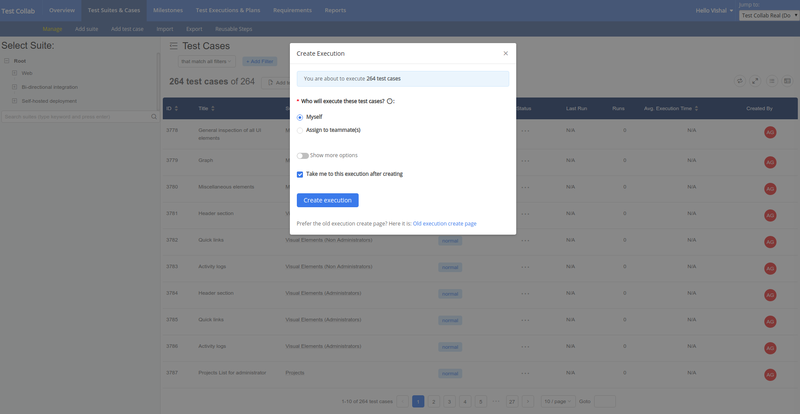 "Take me to this execution after creating" if selected will redirect the user to execution view / assign page as the case may be. Note that if "Manually pick and assign" is opted then user will be taken to assign page irrespective of the deselection of "Take me to this execution after creating".